Victorian gold mining is set for another boost with AuStar Gold on the verge of launching production from the historic Morning Star and Rose of Denmark mines. AuStar rapidly moved through a number of exploration, development, mining and processing initiatives at the sites in 2018, including first gold concentrate from the Rose of Denmark underground mine last August. 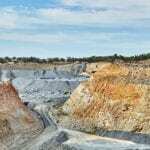 The company expects production from the eastern goldfields mines to start modestly, but plans to continue an exploration program aimed at increasing output from the sites. Since announcing in December that it planned to start mining in the March 2019 quarter, the company has established enough confidence in its minerals inventory estimation and mine planning to make the move to production. AuStar will mine both operations with ore to be processed at the Morning Star gravity processing plant. Chief executive officer Tom de Vries said further exploration success would enable increased production over time after modest initial throughput rates. “We have repeatedly witnessed diamond drill core with visible gold and accompanying outstanding high-grade assay results, which gives us confidence that mining could be undertaken successfully,” de Vries said. AuStar has conducted extensive work internally to assess potential production rates and costs, de Vries added. “The board and management are confident the decision to commence production will generate positive results,” he said. The bulk of the material for plant feed will initially come from the McNally’s Reef discovery and from the Rose of Denmark mine, while development is completed to access Stone’s Reef. Mining at Rose of Denmark will access material recently identified using percussion drilling and diamond drilling. AuStar’s upcoming development plan will initially focus on exposing the reef at McNally’s. The company will develop along the structure and then target stoping on the highest grade drill holes. 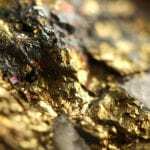 Victorian gold mining has been experiencing a revival, led by Kirkland Lake Gold’s Fosterville operation, which is on track to produce 570,000 ounces of annual production by 2021. AuStar acquired the Morning Star operations in 2015.